The U-turn closest to the Gandy Bridge will be moved to its permanent location to facilitate the left-turn into the boat ramp entrance. Watch for signs as the current configuration will be utilized during this movement. The short merge remains in place on eastbound Gandy between Lois Ave and Dale Mabry Hwy at the entrance to the Selmon Expressway. This lane configuration will remain in place to during the construction of the Selmon Extension new ramps. To avoid congestion in this area during rush-hour traffic, we advise travelers to use the alternate route. Turn left (north) on Dale Mabry and access the Selmon Expressway ramp, located just behind Target. 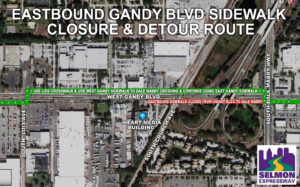 The sidewalk remains closed on eastbound Gandy Boulevard between Lois Avenue and Dale Mabry Hwy. 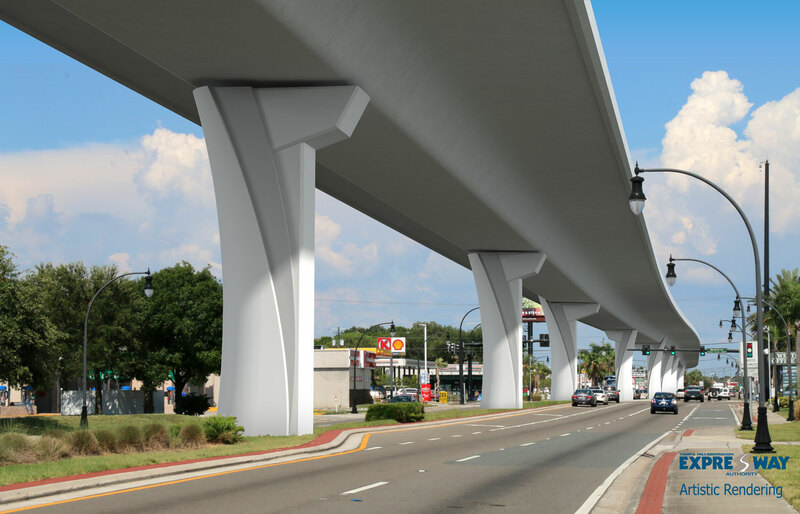 Pedestrians walking between Lois Avenue from Dale Mabry Hwy should use the sidewalk on the north side of Gandy Boulevard. Detour signs are posted to alert pedestrians. Graphics are included to show the detour. In an effort to keep the construction crews and the traveling public safe, we want to remind motorists that the posted construction speed limit is 45 miles an hour. Speed enforcement will be in place in the signed construction zones. The fine for speeding in a construction zone is double the amount of a regular ticket.